ThimphuTech.com: Unemployment among Google Chrome users? 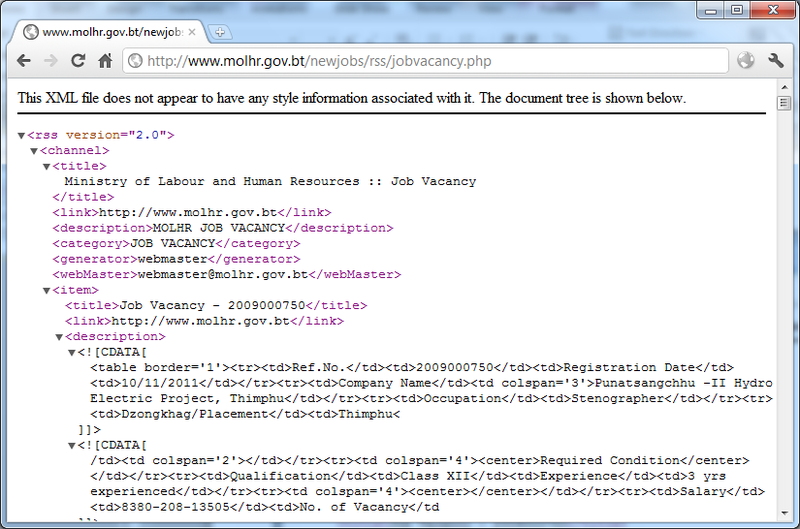 Obviously, the folks at MoLHR don't make it easy to read the job descriptions - unless you're a computer, that is! A quick check revealed that the information is provided as an XML RSS feed, which is a format used by special programs called RSS readers. 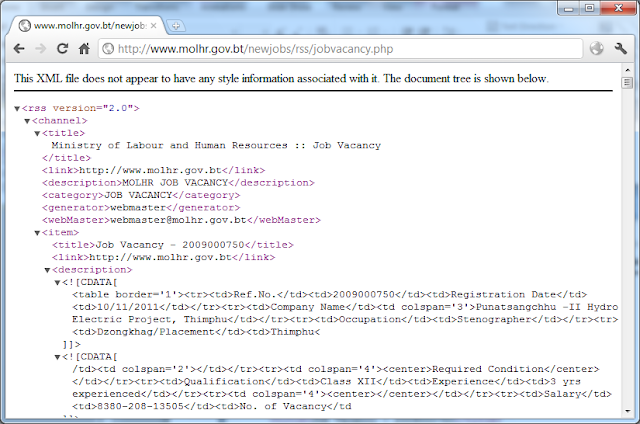 It is not designed to be displayed using web browsers. Although the newer versions of Internet Explorer display this information in a more readable format, webmasters must check that their website is rendered properly by all major browsers.